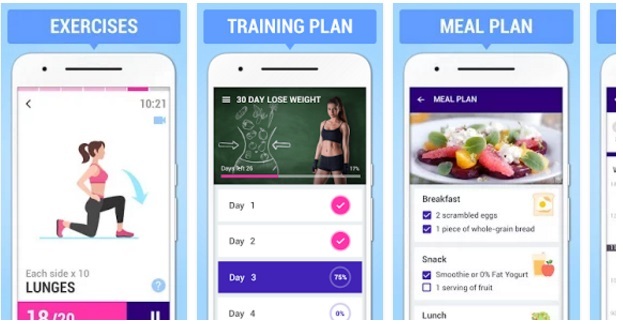 Lose Weight in 30 Days app is one of the best apps which helps you to loose weight. It is designed for you to lose weight in a fast and safe way but never in a drastic way. Not only does it have systematic workouts. It also provides diet plans at your disposal. It is scientifically designed to reduce your weight and helps to improve your health and fitness. Calorie data can be synchronized on Google Fit which is very helpful. The workouts mentioned are very simple without and with equipment. You can track your weight loss progress in graphs and work accordingly. You can also set targets for self-encouragement compare your own calories day by day.